The main question that comes to mind is what is a conference? It is basically a big meeting with a formal structure typically where people who have shared interests come together and it generally takes place over a couple of days. Sherewood Lodge offers a unique feature that many other well-known venues do not have and that is the availability of various individual conference and breakaway rooms and secluded garden spots. 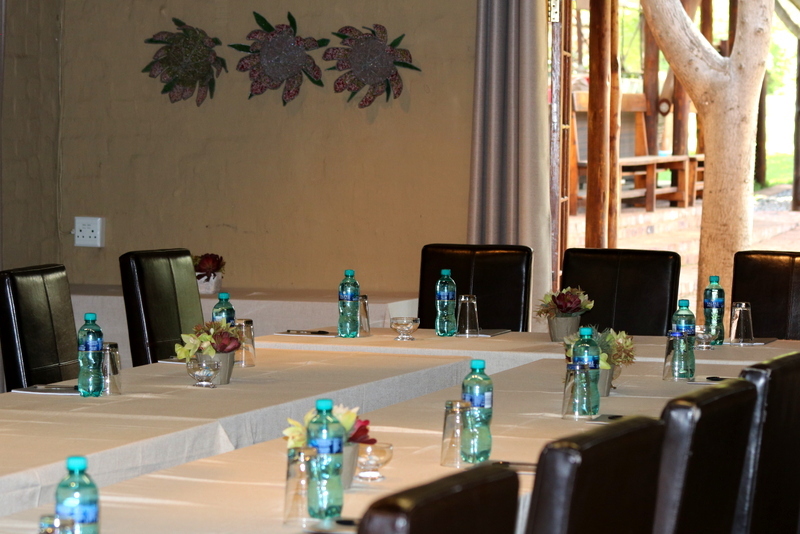 Our conference room gives Sherewood an advantage in the fact that it can accommodate to 50 people at a time. The conference room and garden areas are ideal because businesses may utilize it to host seminars. Another advantage is that the space available for conferences in Pretoria can not only be used for formal work situations but also to host a small party or end of the year functions. The Purpose of Conference Facility is to create an environment where your staff can learn, focus and get to know each other. Conferences are often used to help one create a network or enlarge the network they already have, by meeting people who are in the same industry and may be from other companies. Conferences also help individuals to share their knowledge on a specific topic, whether the topic may be something internal to the company or even external. Finally Conferences can be used to provide time for annual program planning for the company. Sherewood Lodge allows for easy access to and from the N1 and N4. It is just perfect for any company wanting to host a conference in Pretoria or even stay the night with the availability of 9 rooms and excellent personal service. You can reach us at 012 809 2398 or info@sherewoodlodge.co.za.